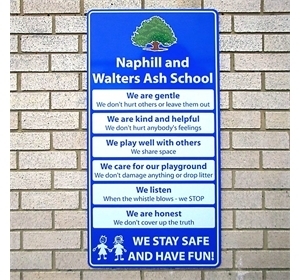 Essentials Playground & Pupil Area Signs. 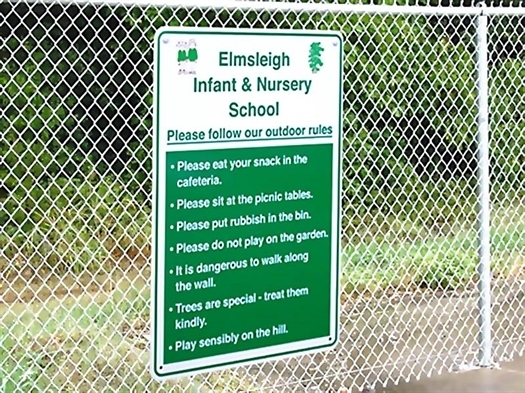 Essentials' signs are constructed to look good and to last for years to come. 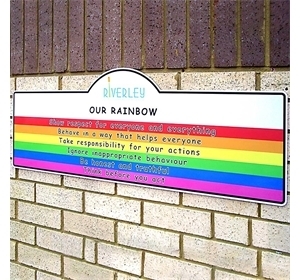 Manufactured from 5mm rigid plastic. Designed to offer a safe yet economical alternative. 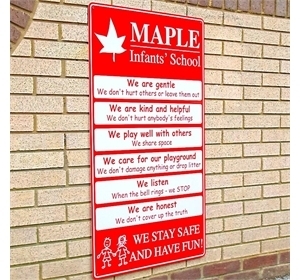 Available in any of our colours or to your school colours. Costs include artwork and design. 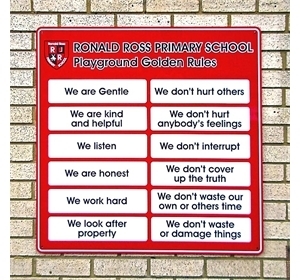 'Essentials' Playground signs offer extremely good value for money. 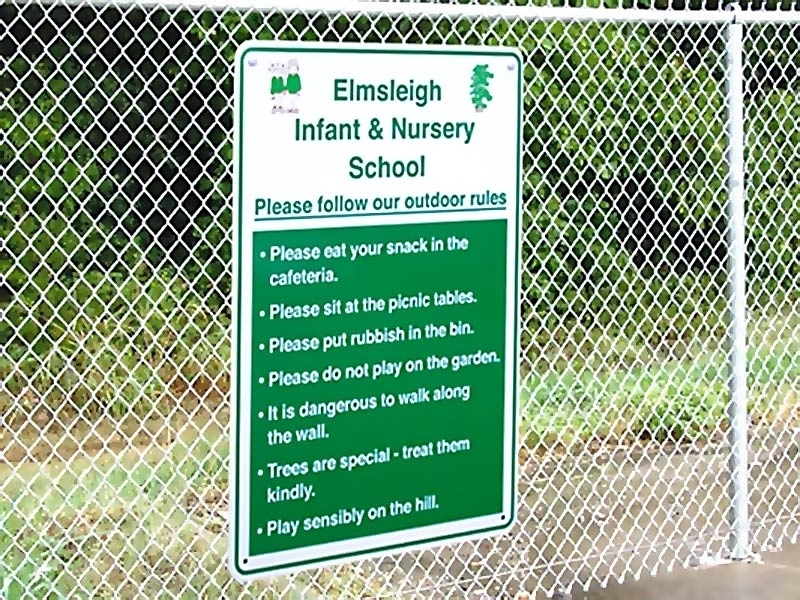 Built from rigid plastic these signs have a background in any standard colour with a border to make them stand out and text to face, with protective film over. Radius corners and either pre-drilled and with colour keyed screw kit or with V.H.B. adhesive tape to rear.